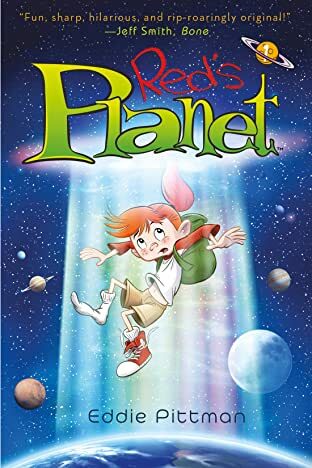 Red’s Planet, an intergalactic graphic novel fantasy series from award-winning cartoonist Eddie Pittman (writer/story artist for Disney’s hit TV series Phineas and Ferb), is a nonstop adventure with a unique cast of characters unlike any you’ve ever seen before. Meet Red, a quirky, headstrong 10-year-old who longs to live in her own perfect paradise far away from her annoying foster family. But when a UFO mistakenly kidnaps her, Red finds herself farther away than she could have possibly imagined—across the galaxy and aboard an enormous spaceship owned by the Aquilari, an ancient creature with a taste for rare and unusual treasures. 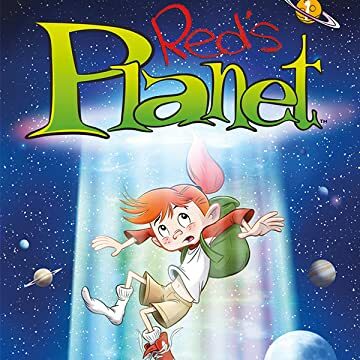 Before Red can be discovered as a stowaway, the great ship crashes on a small deserted planet, leaving her marooned with a menagerie of misfit aliens. 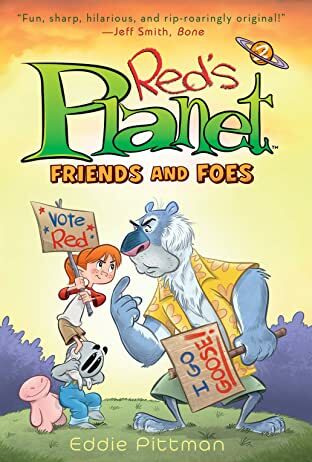 With her newfound friend, a small gray alien named Tawee, Red must find a way to survive the hostile castaways, evade the ravenous wildlife, and contend with Goose, the planet’s grumpy, felinoid custodian. Surely this can’t be the paradise she’s been hoping for. Fans of Mike Maihack’s Cleopatra in Space and Ben Hatke’s Zita the Spacegirl will embrace Red’s Planet, a boldly illustrated and imaginative new series for readers of all ages.